It’s not long before we reach our hotel. It’s lovely – set on top of the spine of a hill, overlooking another hilltop village. It’s isolated, with a lovely pool and gorgeous views from the terraces. It has those ‘flop up’ green shade–shutters that are so common in Italy. Tonight’s supper is in an old barn. It’s a buffet, and not very good, but the waiter makes up for it. He has a mischievous sense of humour and he and Liam tease about the choice of wine. ‘I want one that is good, but not expensive’ says Liam ‘but not so cheap that I get a headache in the morning.’ He laughs and promises to fetch exactly that. Lovely sense of humour I think, just like every Italian one meets. 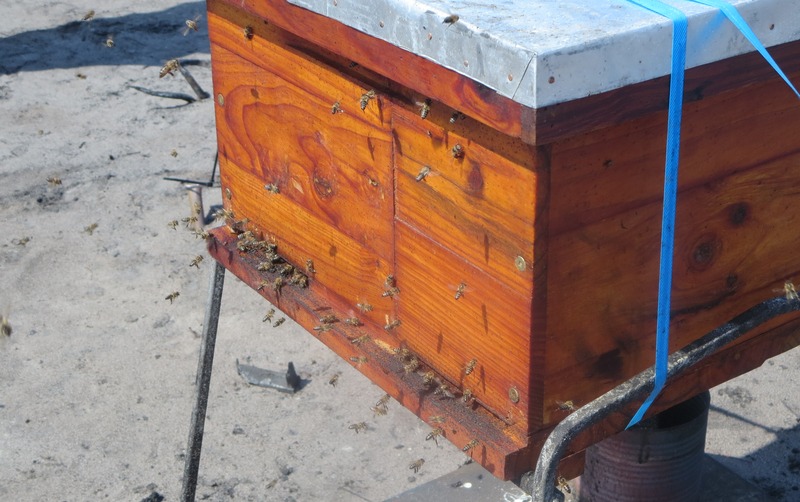 The next morning breakfast is on the terrace, with fresh acacia honey. It’s a still and sunny morning with sparrows chirping everywhere. From where I sit I can see though the lime trees and under the branches to the vineyards rising steeply on the hill opposite. Postcard country. We plan to do a circuit from Greve-in-Chianti on to Radda-in-Chianti and back. 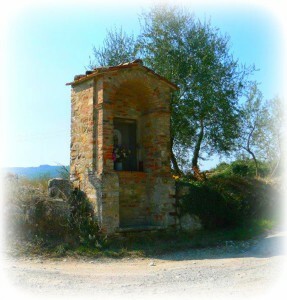 On one of the byroads there is a little wayside shrine and a dirt track running down the hill to the right. Some pretty houses run alongside the track, and I point them out to Liam. ‘I wonder what’s down that road.’ I say. ‘I don’t know – would you like to have a look?’ he says. We have slightly overshot the turnoff and he begins to reverse the Smart car. All of a sudden the little car falls straight off the side of the road and into a ditch. I hop out to direct him back onto the road. Just then a battered old kombi-van careers up and pulls off into the dirt road in a cloud of dust. ‘Are you in trouble? Can I help?’ calls a cheery voice. It’s the waiter from last night’s supper at the hotel. I honestly do not know why I say this, because the truth is that we are not looking for something to buy. Maybe I am so bold because Liam is safely in the car, halfway down a ditch. For although Liam shares my love of Italy, he has long since had a horror of me finding some romantic ruin to restore in a foreign country, where neither of us speak the language. And even more to the point, he has always had strong socialist roots. ‘Liam’s hair shirt’ his family always teases. Liam does not feel that one should own anything excessive. We are a one-car family, do not fill the bath, and turn out the lights when we leave a room. There’s not much for me to do in this tiny urban patch. I leave Liam to it and walk up the road to the local school, where my bees were. James, the school beekeeper, and I are packing up the empty hives, storing skeps, bee veils and frames ‘The demolition squad will be here by Monday, we need to get a move on’ James says. I look around, trying to imagine the bulldozers flattening our apiary to make way for new classrooms. I’ve always kept bees, since about the age of sixteen. 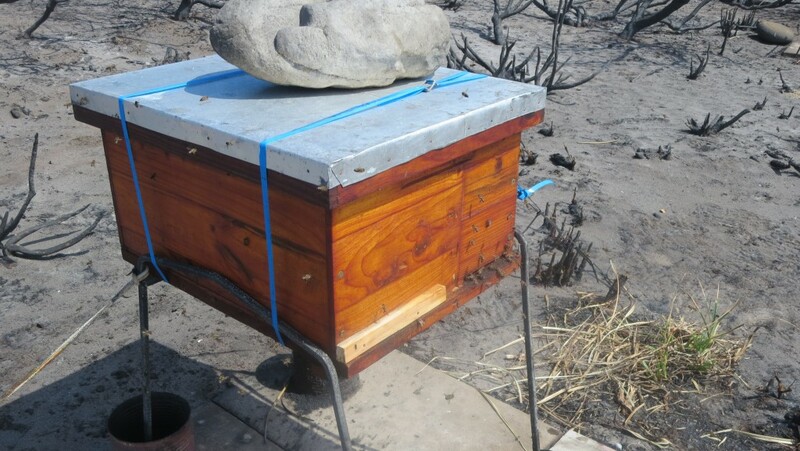 Ever since I stumbled across my grandfather’s hive, overgrown and forgotten in the veld near Cape Point. Somehow, on this wild tip of Africa, they had managed to survive decades of neglect. ‘Fierce bees those’ I smile as I remember how they once chased a cousin right into the sea …. clouds of bees around his head, and his trousers around his ankles. James and I chat about it as we pack the final things away, about the difference between the African ‘killer bee’ and the more gentle European bee that we breed in London. Right now we’ve been importing Italian queens for their docile nature. 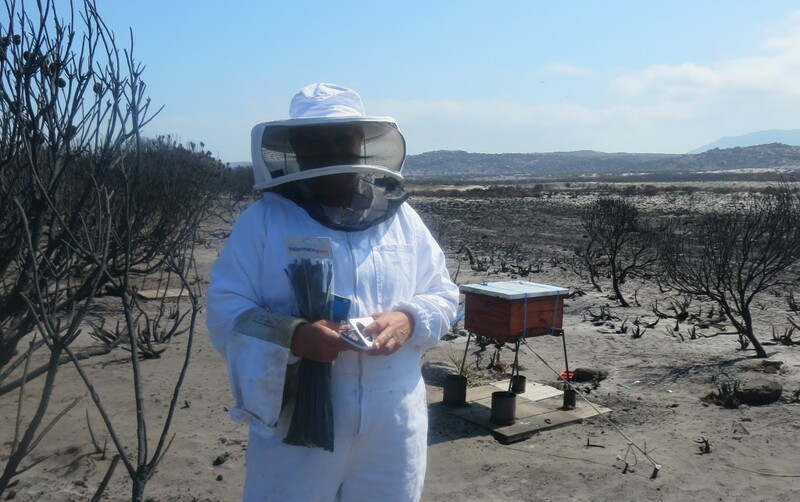 ‘Doesn’t make sense,’ I laugh,’ an Italian queen reminds me of some sort of diva … volatile and feisty.’ I’ll miss this apiary, and I’ll miss working with an expert bee-keeper too. ‘I’ve no time to think of it. You arrange the place, book the flights and tell my secretary. If you can organise it all, I’ll do it’, he says. I sit down at the kitchen table, with a large map of Italy in front of me. My eyes glance to the north of Italy, to Aosta, where part of my mother’s family came from. My mother cannot remember the location, it is so far back in time now, and we have long since lost the language. But for my father this Italian connection is special. 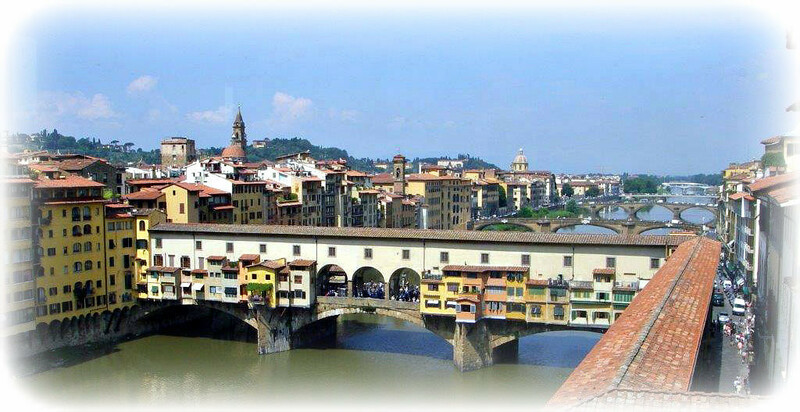 My eyes move down the map, further south, to Florence, and nearby Prato. I’ve been reading Italian novels again. This time it is The Merchant of Prato. Daily life in a medieval city. It’s a fascinating account of a self-made man’s struggle to become rich and influential, and when he dies he bequeaths the lot to the city of Prato. Perhaps we will explore Prato as a result? And the hills around Florence, where I feel so strongly that I could live … from the very first time that I set eyes on this perfect jewel of a city. It has everything for me: history, religion, antiquity, culture and art. I don’t know about music? One could study and learn there forever … to say nothing about the language! I pick up a pin, and run my finger in a straight line down from Florence. I stick the pin into the map. ‘Greve-in-Chianti’ comes up. 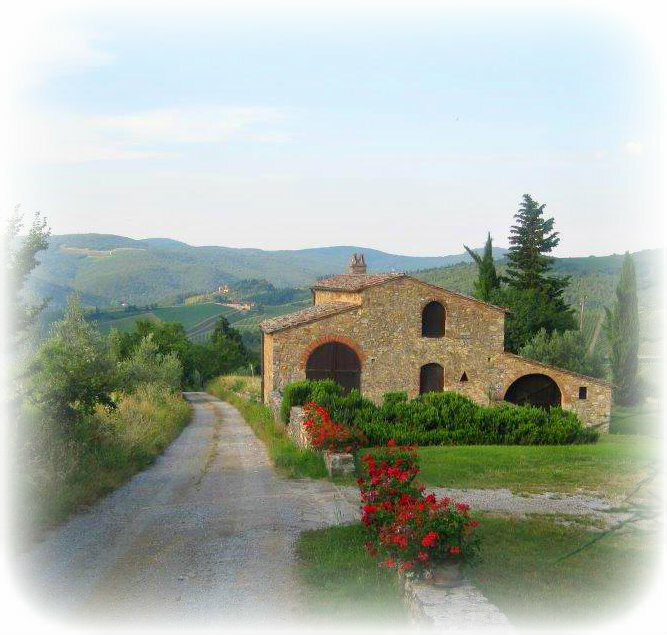 ‘Hotels near Greve-in-Chianti’ brings up several options on Google. One of them is set in countryside that could be part of a medieval frieze. It seems to be about 15 minutes’ drive from Greve. The receptionist speaks a little English and, yes, room number nine is available from Friday until Wednesday. I’ve done it!